dYdX is a protocol for decentralized margin trading and derivatives. We recently launched the Margin Trading Protocol and expo — the simplest way to get margin exposure through tokenized margin positions. Margin Tokens are based on the ERC20 standard. They are freely tradable and fungible interests in short or leveraged positions. Margin tokens make it incredibly simple for traders to get short or leveraged exposure. All traders have to do is buy/sell an ERC20 token, which many wallets and exchanges (centralized and decentralized) already support. Traders don’t have to deal with the complexity of borrowing and buying/selling an underlying crypto asset in order to short or gain leverage. Expo is live, and currently supports Short Ethereum (sETH) and Leveraged Ethereum (LETH), both utilizing DAI as the quote currency. It provides a familiar reference to measure the value of what’s being traded (e.g. sETH). Because 1 DAI = $1, we can display prices directly in USD. Holding DAI as collateral for short positions, and borrowing DAI for leveraged positions allows dYdX Short & Leveraged Tokens to be priced directly in $. DAI allows traders to not have to worry about the complexity of pricing margin positions in another volatile cryptocurrency. We are the protocol for decentralized margin trading and derivatives. With dYdX, getting margin exposure is as easy as trading an ERC20 token. Trade now on expo. If you’re interested in helping us build the future of finance, let us know! 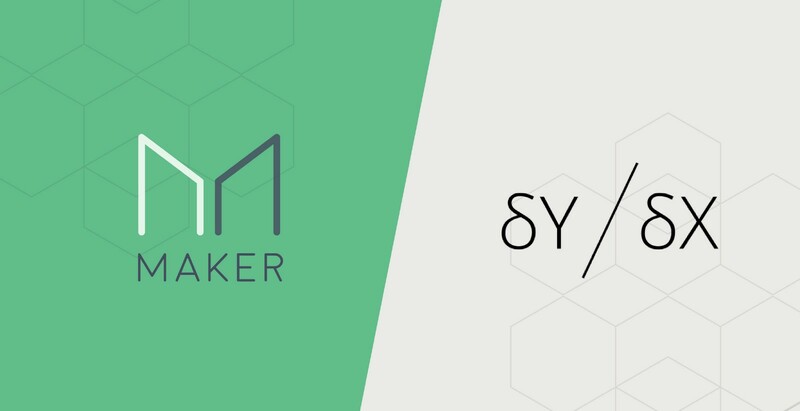 Maker is unlocking the power of the blockchain for everyone by creating an inclusive platform for economic empowerment — allowing equal access to the global financial marketplace. We believe in a future that leverages the power of decentralization for trustless transactions. Join us!